UD AXJ AX AJP MX MXJ AXJP OSP, written by Jacqueline Wyatt. Also, an article, “Wanna Herd? An Introduction for Beginners,” written by Vicki Northway and Carol Donnelly. 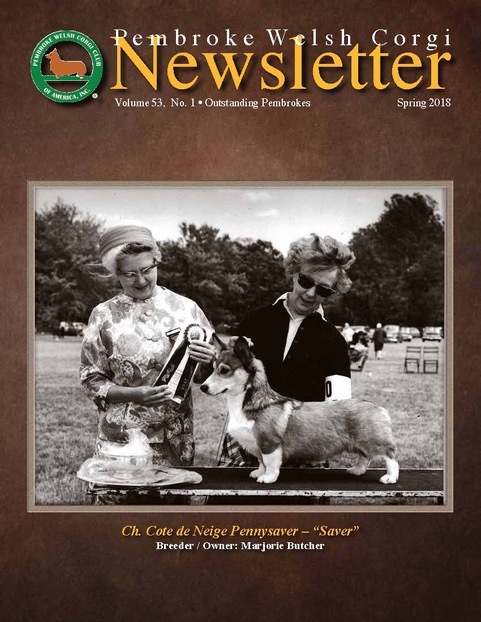 Columns include a report by the AKC Delegate Anne Bowes and a message from PWCCA President Marilyn Van Vleit. Specialty reports include Lakeshore PWCC 1, Lakeshore PWCC 2, Columbia River PWCC, Cascade PWCC, PWCC of the Western Reserve, PWCC of the Garden State, Palmetto PWCC 1, and Palmetto PWCC 2. The Talebearers Spotlight features the PWCCA Meet The Breed in Orlando with photos. Rounding out this issue is the Calendar of Events, PWCCA Business information, the Editor’s Column and color and b/w ads featuring PWCs. Available only as long as supplies last.